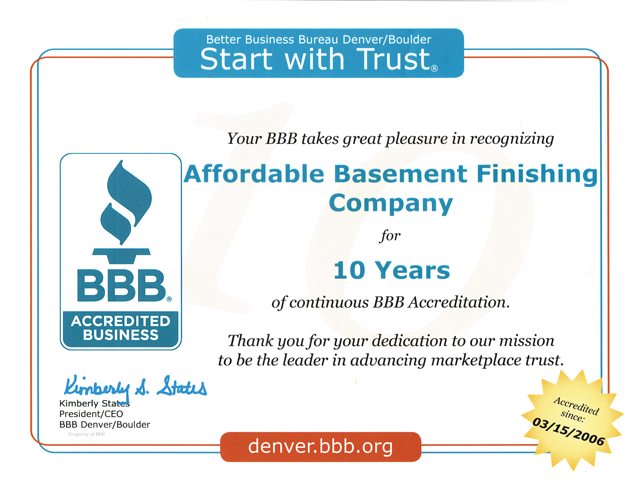 What To Know About Finishing Your Basement | Affordable Basement Finishing Co. Imagine having your extended family over to your place for the family reunion. As your first family members arrive, you invite them to explore your home and make themselves comfortable. You deliberately left out what that little staircase leading down from the lobby was. That is because you wanted to be there when you show them your amazing finished basement. 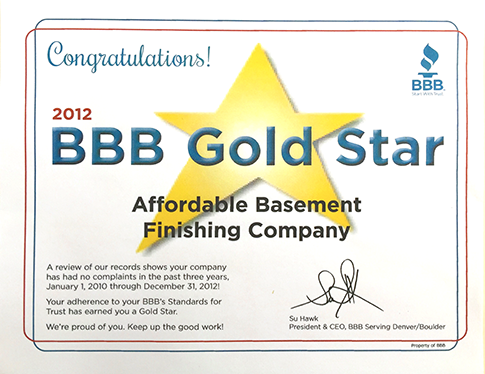 A finished basement adds invaluable space and value to your home. Luckily, many homes in Central Colorado and Denver have basements already but a good amount of them are completely unfinished. 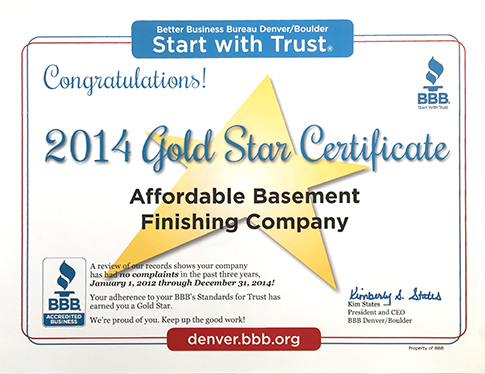 When buying a home, finding an unfinished basement can help get the price within your budget. 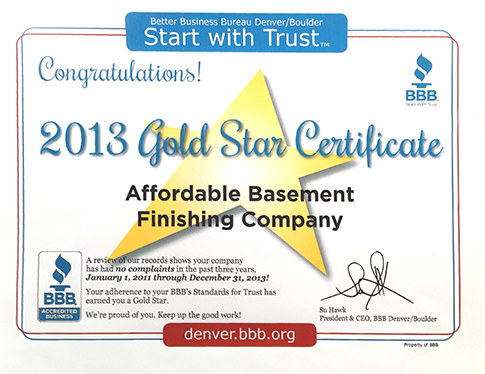 However, if you are selling, a finished basement can be a huge game changer for potential buyers. Perhaps you are simply maxed out of living space in your home and can’t keep your mind off that musty concrete dungeon downstairs. Whatever your situation, finishing your basement can literally evolve your home into something you love even more. Space is the most obvious reason to finish your basement. 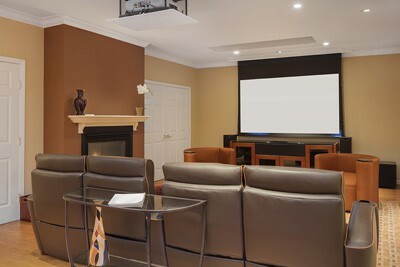 A completely open basement can turn into a beautiful extra room for entertainment and bringing people together. At the same time, it can be divided in a myriad of ways to create additions to your house without actually building on. Another baby on the way? How about remodeling a section of that basement into an extra bedroom for your adolescent? You can even create a new source of income by adding a kitchen and bathroom for basement tenants. Real Estate moguls have reported that finished basements cost half as much as full house additions while adding more overall value. Instead of creating a whole new area, you are turning an existing space with walls and a ceiling into whatever you’d like. 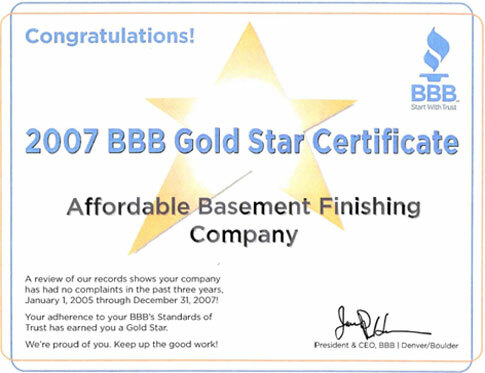 We highly recommend bringing in an experienced contractor to identify any issues already existing in your unfinished basement. Any existing leaks or fracturing could mean big issues down the line if not dealt with before finishing. Even if you plan on bringing in a contractor, it is a good idea to check existing building codes in your area before creating any hard plans. You might need to secure additional permits for certain builds that could affect local sewage or water use. Kitchens and bathrooms often signal local building authorities that you might be taking on tenants. 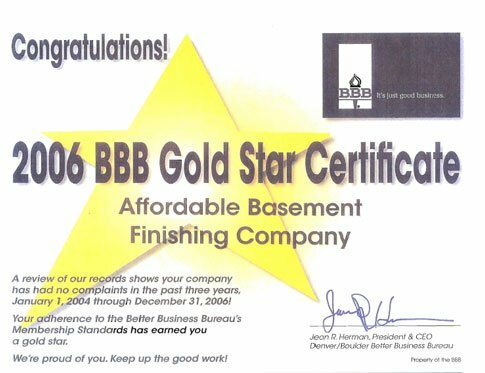 Regardless of your use, make sure both you and your contractor know the possible hurdles to get past for your perfect finished basement. 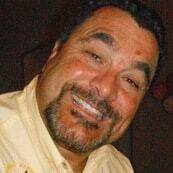 Typically, a contractor will even submit for permits for you. 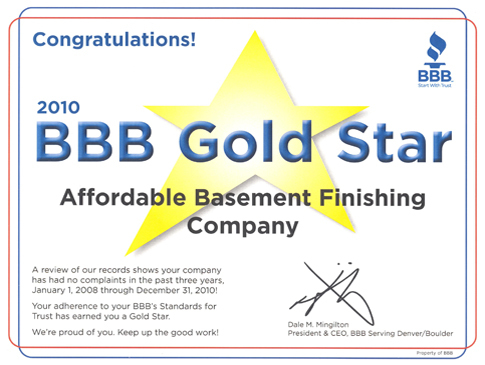 If you are considering using your finished basement as a living area that contains a separate bedroom, bathroom, or kitchen, remember that each of those comes with its own requirements. Bathrooms and kitchens will need water and drainage access. Bedrooms are required to have a point of egress, which in the case of a basement usually means an egress window. Even with all the correct permits and cut-ins that a separate living space requires, do not forget about the legality of claiming additional tenants as it will necessarily raise your property taxes and maintenance costs. 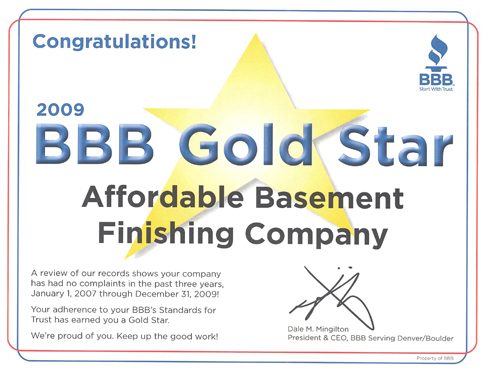 A great option for your new finished basement is to create an office. Office spaces for your family do not have any additional requirements for building codes and do not require utility cut-ins. A nice desk, bookshelves, and cabinets can make a perfect space to get your work done at home while requiring comparatively little funds. Not everything has to be about simple function! The best part of finishing your basement is to have fun with your new space. If you have an area of your new finished basement that has little to no natural light, consider getting a projector with a screen and comfortable couch for your own home theater. Add some trace lighting, dark wall paint, and a surround system then suddenly it is like you are at the movies. Are you a wine or craft beer lover? Due to their lower temperatures, basements make a perfect space for creating your own wine or beer cellar! 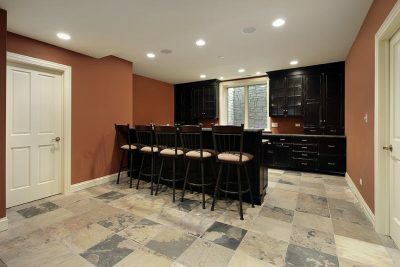 Given the cost of finishing your basement, a great designing tip choosing mostly average cost options then splurging on a couple important pieces like a marble bar top or gorgeous entertainment center can completely influence the overall feel of your finished basement. Remember that basements are generally more humid than the rest of your house; so choosing water-resistant flooring is very important so don’t skimp on that. 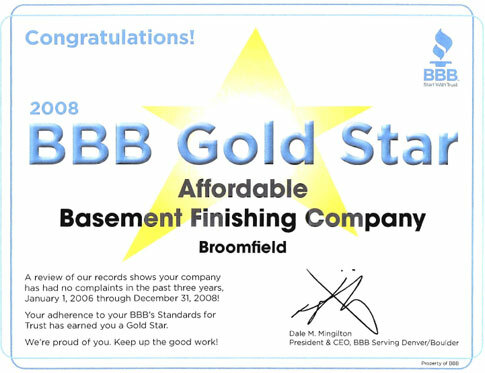 Before you know it, you will be on your way to finishing your own perfect basement!